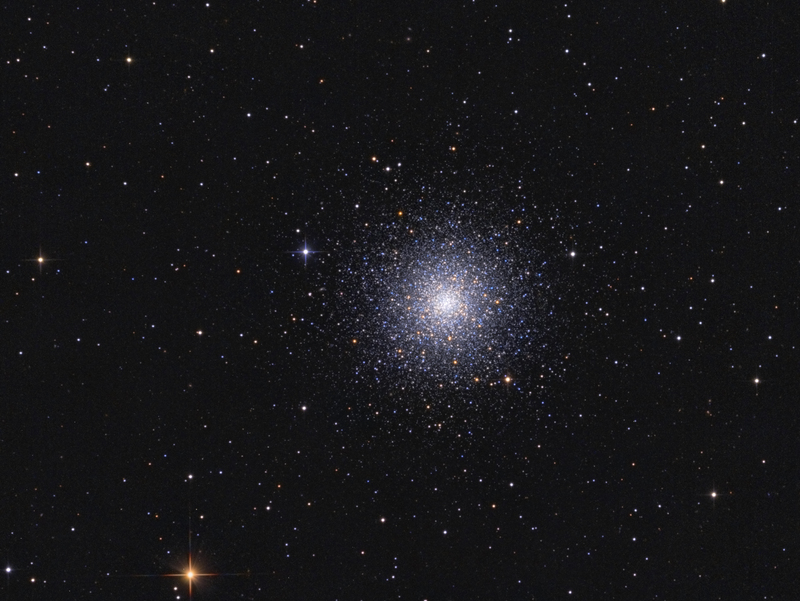 M3 is the name for a globular cluster, which can be found in the constellation of hunting dogs. It is located at a distance of about 31,000 Lj from the earth. With an approximate number of 500,000 stars and a circumference of about 220 light years, it is one of the largest star clusters that are part of our Milky Way. The stars in it have about 300,000 times the luminosity of the sun and a total mass of about 245,000 solar masses. M3 was discovered on 03.05.1764 by the french Astronomer Charles Messier.